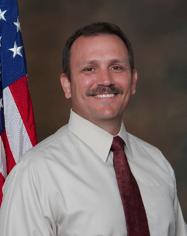 Founder and Executive Director of the Ventura County Military Collaborative. Ms. Evans is a Licensed Marriage and Family Therapist and Licensed Professional Clinic Counselor in Ventura County specializing in working with military and their families. She has been working in the military field for the past 14 years. She has been an Embedded Therapist for an Army National Guard Unit and the Director of Psychological Health for the 146th Airlift Wing. Ms. Evans has briefed over 8,000 service members and their families on mental health issues and is considered an expert on military deployment issues and their effects on service members and their loved ones. Kim has previously worked with Military Children at Purple Camps and DoD sponsored summer programs. She has worked as a Military Family Life Consultant for the Department of Defense Joint Family Support Assistance Program for the state of CA. Kim has trained over 1,200 clinicians in the state of California with her workshops on Military Culture and working with service members and their families. Ms. Evans trains local law enforcement agencies on behavioral health guidance and interactions with military and veterans. Ms. Evans has a Masters Degree from Pepperdine University in Clinical Psychology and has been trained at the National Center for PTSD. Her husband is a recently retired, multi tour combat veteran. She is a current member of the Community Veterans Engagement Board (CVEB) -VA Greater Los Angeles Healthcare System. Ms. Evans is honored to be named as one of the 2017 Ventura County Women of the Year for the 19th Senate District by Senator Hannah-Beth Jackson. Ron Dunn joined the San Bernardino County Sheriff’s Department in January 1993 as a 9-1-1 Call Taker, promoted to radio dispatcher in September 1994, and then Supervisor in October 2000. The Sheriff’s Department transitioned from sworn Lieutenants to civilian managers in January 2007. Ron became one of two Communications Managers and oversaw daily operations of the Desert Control Center, located in Hesperia California. In 2009, Ron was instrumental in the creation, development, and design of a new state of the art Public Safety Operations Center (PSOC). The PSOC went live in May 2013, serving a population of more than 500,000 people in the largest geographical county in the nation. Ron has been an active member with the International Footprint Association (IFA), National Emergency Number Association (NENA), and the Association of Public-Safety Communications Official’s (APCO). In 2013, Ron was selected as the California APCO Chapter (CPRA) Manager of the Year. Ron earned his NENA Emergency Number Professional Certification (ENP) in May 2016. In 2008, Ron was elected to the San Bernardino Public Employee’s Association Board of Directors, where he held the positions of Treasurer and Vice President. In 2014 he was elected President and spearheaded the affiliation with the International Brotherhood of Teamsters. Teamsters Local 1932 proudly represents over 14,000 County, City and agency members. Ron served Active Duty in the United States Air Force from 1984-1988 as a Law Enforcement Specialist. He then enlisted in the Air Force Reserves in 1989 as a Medical Specialist. Continuing as a reservist, he changed his career field in 2001 to become a C-141C and C-17A Loadmaster until his retirement in November 2015. During his time in the military he served in Operation(s) Desert Shield / Desert Storm, Enduring Freedom, Iraqi Freedom, and New Dawn. He proudly served 21 years with the San Bernardino County Sheriff’s Department, and is looking forward to his new future with the Oxnard Police Department. UCCM (SCW/DV), USNR Retired Logie holds a Bachelors of Science Degree in Accountancy from California State University, Northridge. He also holds a certificate in Law Enforcement (L. E.) from Riverside Comm. College and a Supervisory Law Enforcement Certificate from the California Commission of Police Officer Standards and Training. In August 2007, he graduated from the Naval Senior Enlisted Academy. He was promoted to Master Chief Utilitiesman (UCCM) in May 2011. UCCM Logie enlisted in the United States Navy in August 1989. UCCM Logie attended Recruit Training at Naval Recruit Training Center, Orlando, Florida, in August 1989. His first active duty assignment was Naval Mobile Construction Battalion (NMCB) FIVE in Port Hueneme, California. Follow on assignments included: Active duty Underwater Construction Team (UCT) ONE and UCT TWO. In December 2000, UCCM Logie transferred to the U.S. Naval Reserves. His U.S. Navy reserve assignments included the following: UCT TWO Augment, 3rd NCB HDQTRS Det, First NCD FWD Augment, First Naval Construction Regiment, 31st Seabee Readiness Group, NFELC Surge Unit, 22 Naval Construction Regiment (Forward) SEL, CBMU 303 RC DET ALFA SEL and AOIC, OIC for CBMU 303 RC DET Port Hueneme, and CBMU 303 RC Battalion Senior Enlisted Advisor. UCCM Logie retired from the U.S. Naval Reserve on September 1, 2015. Albert is currently the Center Director of Operations for National University within the Tri-County region. He received his BA from the University of California Santa Barbara and his MA from National University in La Jolla California. His desire to help people through education started 13 years ago with becoming a counselor in higher education and also working with youth as the Assistant Director for the Boys and Girls Club of Greater San Diego. His passion to change lives through education has only grown throughout the years. He is an advocate for change and looks to better our local community through awareness and action. He has a special interest in community development and incorporating education into everything he touches. Mr. de la Rocha was honored last year with having an educational scholarship named after him and receiving the award of Child Advocate of the Year, from One Circle, Inc. Success for Mr. de la Rocha lies in strengthening his community, his family, and working to better the lives of people he can help. Ms. Morency has been the Airman & Family Readiness Program Manager for the 146th Airlift Wing since September of 2008. Prior to that, she was a Key Spouse Volunteer for 3 years at the wing. As the 1200 military members of the 146th Airlift Wing train with their squadrons to ensure they are ready to handle whatever the next deployment presents, Ms. Morency is ensuring that they and their families are educated on the many benefits and entitlements they have earned. When the wing is not in a deployment cycle, Ms. Morency provides one on one resource management and referral services to more than 640 service/family members and more than 500 people via workshops every year covering topics such as transition assistance, employment support, financial education and more. Her commitment to the betterment of military families has been recognized through many accolades to include the California Commendation Medal. Prior to the start of her outstanding career serving military families, Ms. Morency worked for over 10 years at Casa Pacifica, a residential treatment facility for severely emotionally disturbed children. During her time with Casa Pacifica she developed the ability to quickly de-escalate children and their families who were in high stress and emotional charged situations with positive out-side of the box solutions. As a military spouse with two children, Ms. Morency understands how important a strong support network is to a military family. The love and support the military community has shown the entire Morency family as they worked through multiple deployments and short notice assignments has inspired Ms. Morency to find new and innovative means of giving back what so many others have given her.